Those who have suffered from a failed artificial hip, have undergone a revision surgery (or even more than one), and now contemplate taking legal action against the manufacturer, often ask what kinds of money judgments plaintiffs have received from juries across the country. I have collected a representative sample of jury verdicts over the last few years against artificial hip manufacturers like Depuy and Zimmer. The good news for injured people is that some plaintiffs have received several million dollars from juries for their injuries. The bad news? Juries found no negligence at all by the manufacturer; in those cases, the injured person received no money at all. This is the case that started some of the buzz, mostly because the jury award was quite large. The jury in this California case awarded the Plaintiff $338,236.12 in “economic damages” and $8 million in “pain and suffering” (also called non-economic) damages. The jury did not award punitive damages to Mr. Kransky. The jury found in favor of Mr. Kransky and awarded damages for medical costs and for emotional suffering and distress. The jury did not find that Depuy acted with fraud or malice, which prevented the assessment of punitive damages. Jurors found that the device was defective at the time of sale, and that it injured the plaintiff. Most of the jurors also found that DePuy “failed to warn” Mr. Kransky, which in product liability means that the company did not do a sufficient job in warning the consumer that the product (in this case, the artificial hip components) involved a substantial risk of injury to the plaintiff. Also, nine of twelve jurors found that DePuy was negligent. Despite the multi-million dollar jury award, it is worth noting that Mr. Kransky’s legal team sought punitive damages and other damages that would have exceeded $100,000,000.00. Some observers therefore view the jury verdict as inadequate. Jury Award: zero. Chicago jury found that Depuy was not responsible for the Plaintiff’s injuries. After the Kransky trial and its $8.3 million dollar verdict, the Strum case out of Chicago took some of the starch out of the plaintiffs’ bar. 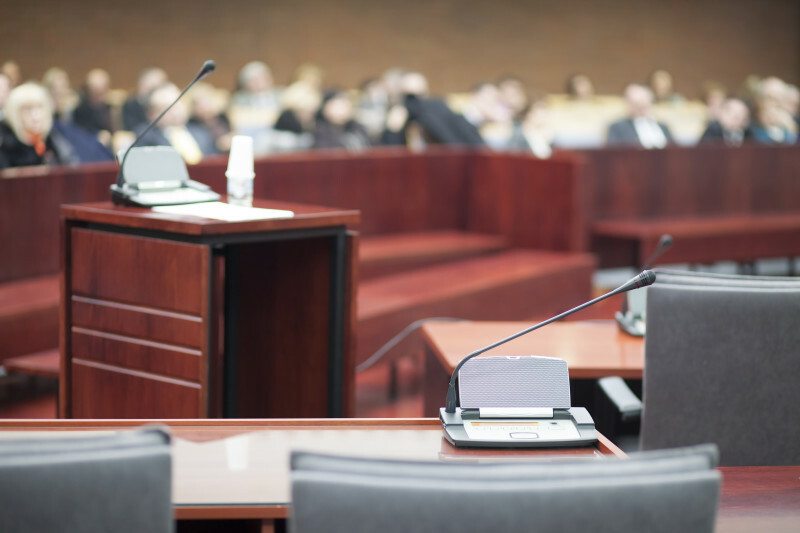 Essentially, the jury found that the hip components manufactured by Depuy Orthopaedics did not cause the injuries to the plaintiff, Carol Strum. Ms. Strum sued DePuy and another defendant Chicago, Illinois in 2011, and alleged that the DePuy ASR femoral implant used to replace her left hip in January 2008 failed and required painful revision surgery. She also claimed that she suffered from metallosis. Ms. Strum also argued that a Depuy executive provided an “Urgent Field Safety Notice” to medical providers in March 2010, and that DePuy issued its own notice of the recall on August 26, 2010. Jury Award: zero. Jury found that Depuy was not responsible for the Plaintiff’s injuries from the Depuy Pinnacle artificial hip. Kathleen Herlihy-Paoli, a Montana woman, sued Depuy Orthopaedics in federal court in Texas for injuries she suffered after her Depuy Pinnacle metal-on-metal hip implant failed. The jury voted unanimously in favor of Depuy, and thus Ms. Herlihy-Paoli received nothing. Jurors returned the verdict after an eight-week trial. Ms. Herlihy-Paoli originally filed her case in Montana before the case was transferred to the Depuy Pinnacle Multidistrict Litigation situated in Texas. Judge Kinkeade presides over the Pinnacle MDL and also presided over Ms. Herlihy-Paoli’s trial. Ms. Herlihy-Paoli said she felt severe pain shortly after the Depuy Pinnacle hip was implanted in 2009. She also alleged that she suffered from dangerous levels of cobalt and chromium in her blood stream. Her lawsuit stated that Ms. Herlihy-Paoli’s metal levels were eighty-five higher than normal. At trial, DePuy argued that Ms. Herlihy-Paoli’s injuries were not caused by product defects but instead were caused by the artificial hips being implanted improperly. Interestingly, Depuy also argued at trial that the Depuy Pinnacle implant was different from the Depuy ASR hip, which is a product that has led to thousands of lawsuits across the country. Jurors decided Ms. Herlihy-Paoli’s injuries were not caused by DePuy’s failure to act as a reasonable hip implant manufacturer. The jury found that the device was not defectively designed and that Depuy’s warnings about the risks of the device were not inadequate. In Part 2, we will look at jury verdicts that have occurred in 2015.